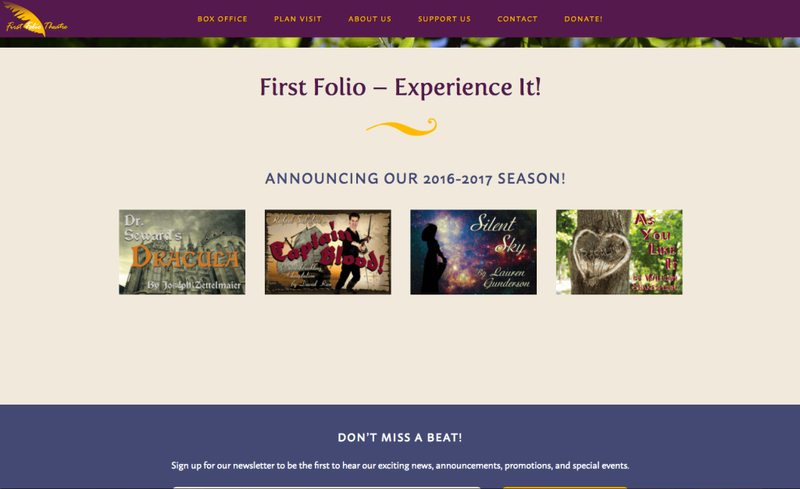 First Folio Theatre reached out to me when they were ready for a brand new website. 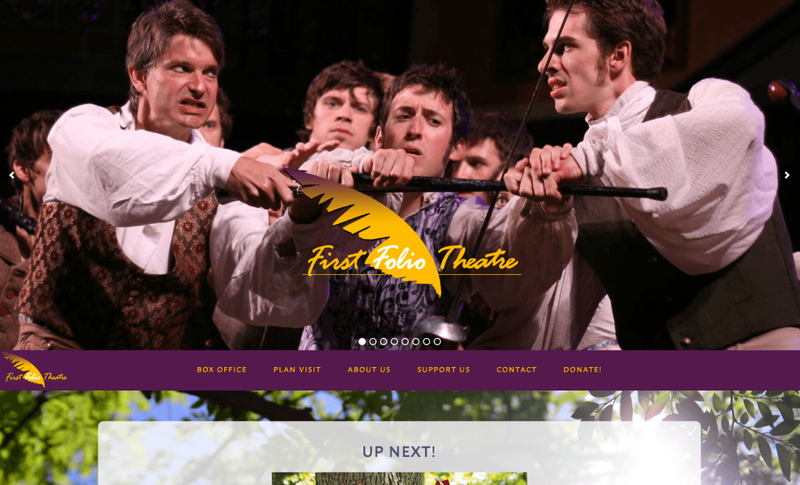 Their old website had been built quite some time ago and it was feeling not only a little visually crusty, but it wasn’t mobile friendly, and they weren’t able to make website edits themselves. What a pain in the booty! 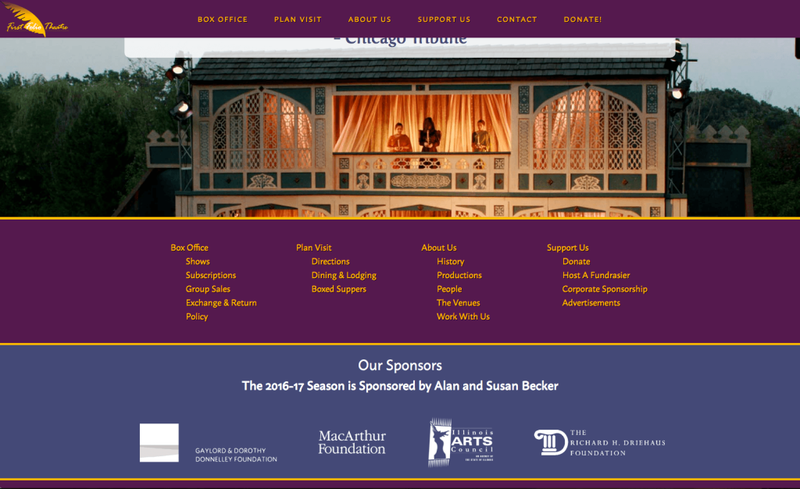 They had a lot of moving pieces we needed to incorporate, including a very robust production history section, links to their ticketing & season subscription sales system, and a site that could automatically display the most upcoming production in multiple locations with minimum effort needed on their end. 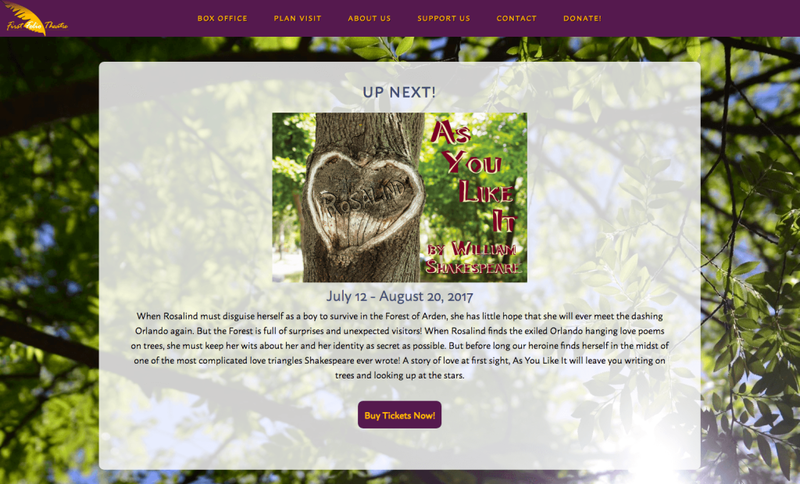 The final result is a refreshed logo and a sweeping layout that shows off their gorgeous production value and helps their audience members find production information and buy tickets as easily as possible – and one that’s incredibly easy to update! 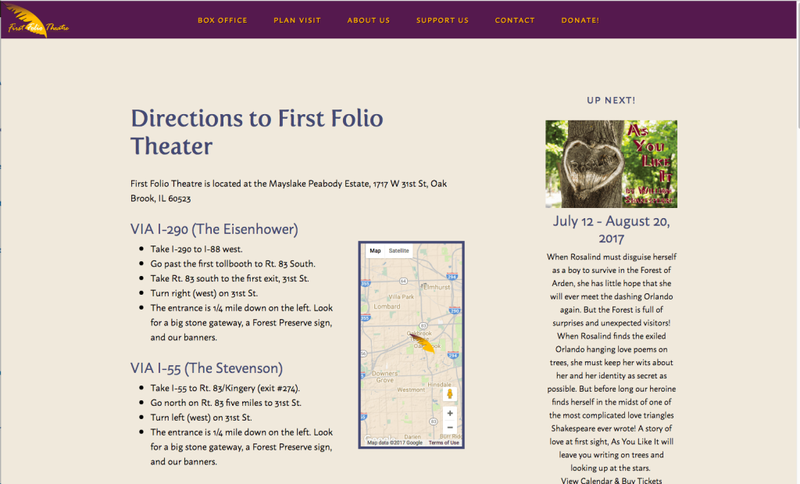 First Folio Theatre hired Sara Gorsky and Get Art Seen to do a complete and total revision of our website. 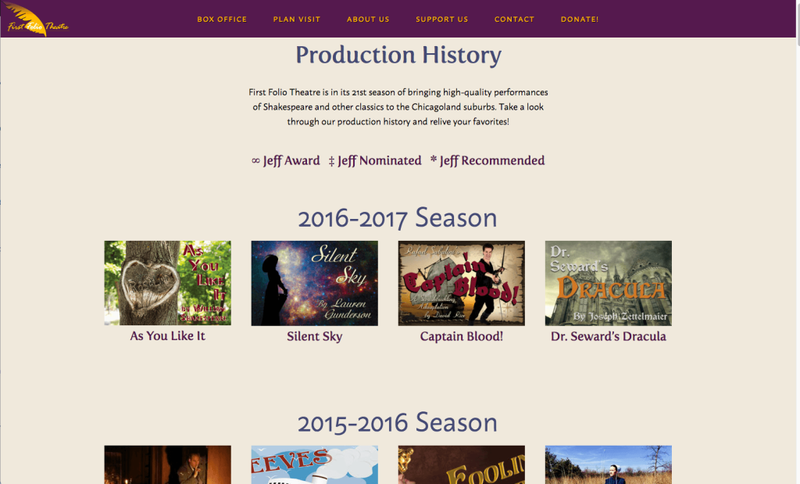 The old website was not only as vibrant as we needed it to be to properly reflect our theater’s work, but it had become moribund and unwieldy. 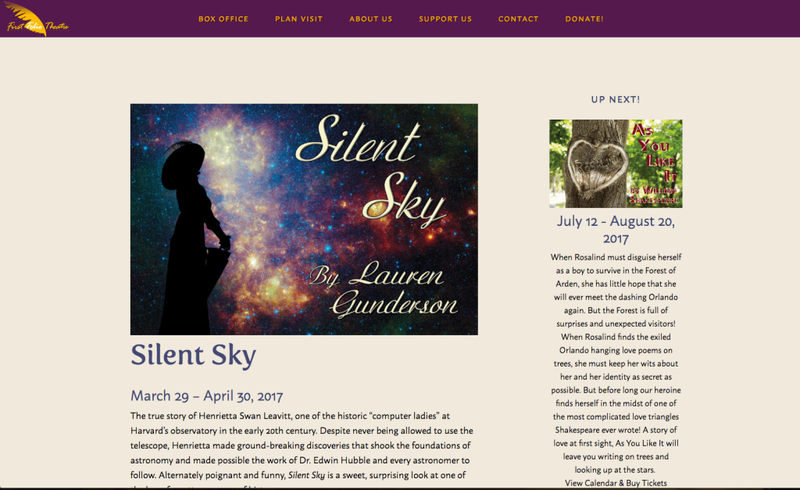 It’s out-of-date design and choice of web platform made it almost impossible for us to make changes in a nimble and timely manner. Sara worked very closely with us to assure that we not only were able to address these issues, but also to address issues we had not even thought of, such as maximizing the site for access on mobile platforms, be they smartphones or tablet devices. 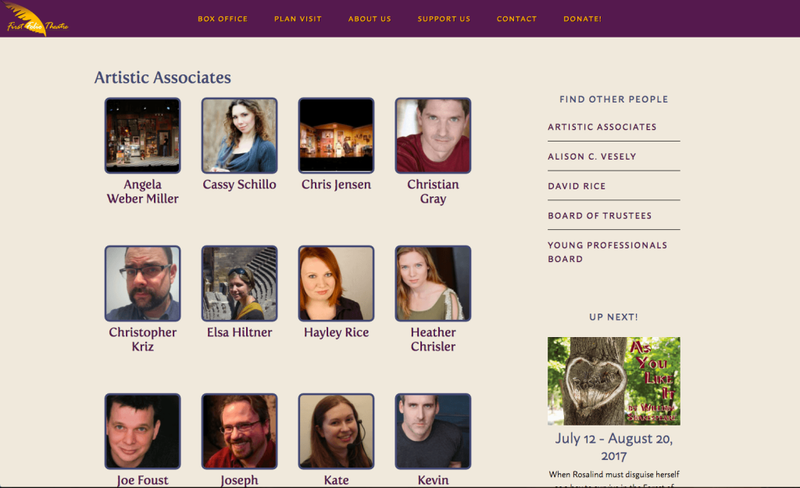 Throughout the process, Sara was a joy to work with. She listened to our needs, made suggestions, and was always quick to respond. 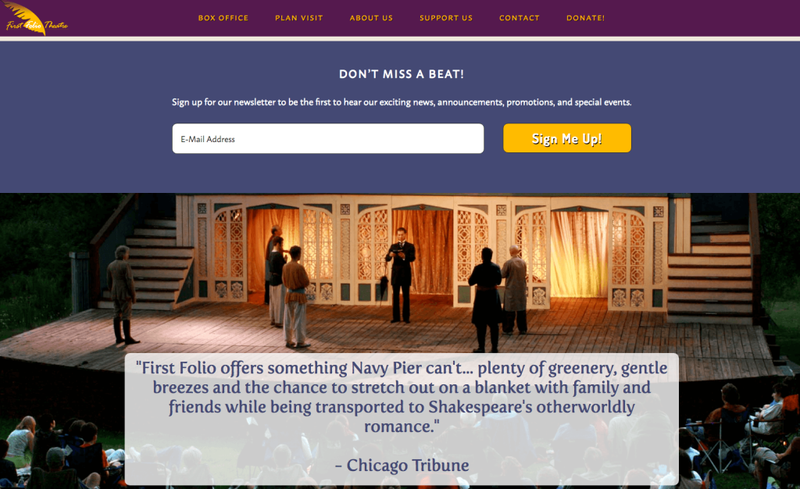 In the end, First Folio Theatre made a seamless switch to a totally new website which is so much easier for our patrons to access and move around in, as well as easier for us to make quick changes to at any time. We could not have asked for a more enjoyable experience. 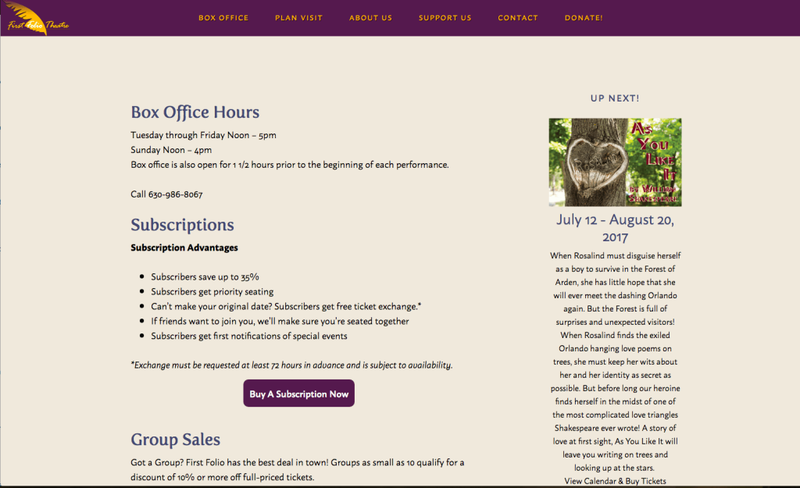 We recommend Sara and Get Art Seen to you highly.